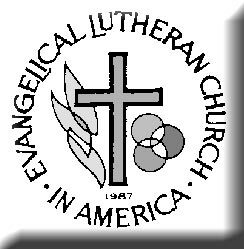 Emaus ELCA of Racine, Wisconsin, is a congregation of the Evangelical Lutheran Church in America. 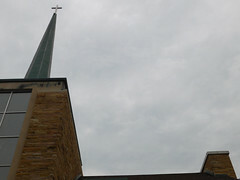 We invite you to worship with us 4:30 p.m. Saturdays (English), 9:00 a.m. Sundays (English), or 11:00 a.m. Sundays (Spanish). 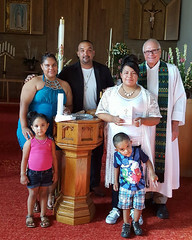 Emaus ELCA de Racine, Wisconsin, es una congregación de la Iglesia Evangélica Luterana en América. Te invitamos a adorar con nosotros a las 16:30 cada Sábado (Inglés), a las 9:00 a.m. cada domingo (Inglés), o a las 11 a.m. cada domingo (Español). Reach us by phone at 262 634-5515 or by e-mail at emmausracine@sbcglobal.net. We are located at 1925 Summit Avenue, Racine, Wisconsin — two blocks east of Horlick High School and just south of Rapids Drive. The current calendar of events is here. With Jesus Christ and His mission as the center of our faith community here at Emmaus, we are in the ongoing process of hearing, proclaiming and living out the Gospel message in His name. As we build on more than 150 years as a congregation, we ask for God’s direction and guidance that we may be bold and courageous, loving and caring, and discerning and faithful in our lives of service. May we continue to bring a word of resurrection hope and shalom to our brothers and sisters in Christ’s name. Agradecemos a Dios por nuestra herencia de fe y de la fidelidad de nuestros antepasados que con los años han llegado a incluir a las personas de diferentes orígenes. En respuesta a la gracia de Dios, centrado en Jesucristo y derramado por el Espíritu Santo, la misión de Emaús es para llevar adelante nuestra fuerte herencia. Estamos llamados a afirmar, interpretar y proclamar la fe cristiana a través del culto, la enseñanza, testimonio, servicio y comunión mediante la utilización efectiva, como miembros de la familia de Dios, la diversidad de carismas que Dios nos da. Monday – Thursday, 9 a.m. – 2 p.m., Friday 2 p.m. – 6 p.m. // Lunes – Jueves 9 a.m. – 2 p.m., Viernes 2 p.m. – 6 p.m.
Emaus ELCA is a Reconciled in Christ congregation. We welcome all who are seeking God’s love and grace. We welcome all because God welcomes all, regardless of race or culture, sexual orientation, gender identity, gender expression, or relationship status. We welcome all without regard to addictions, physical or mental health, imprisonment, socio-economic circumstances, or anything that too often divides us. Our unity is in Christ. 2016 Emaus Constitution / Constitución (24-Mb .pdf) approved by Emaus congregation on January 24, 2016 / Aprovada por Emaus congregación el 24 enero, 2016.